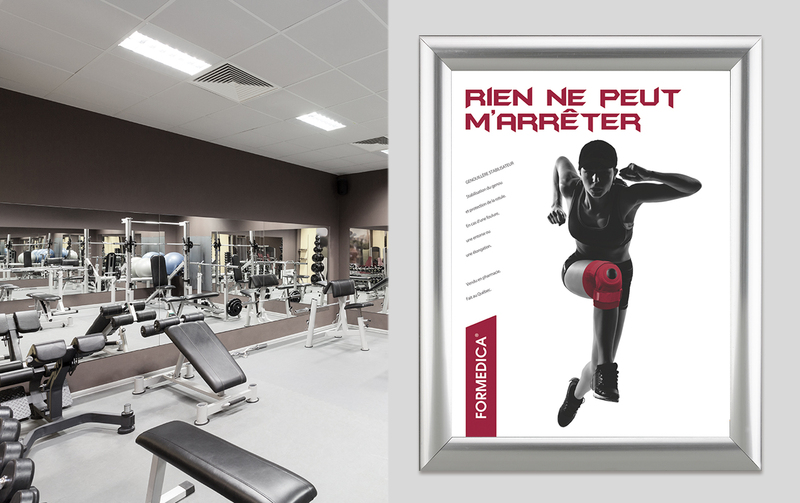 Since it was founded in November 1972, Formedica has concentrated its efforts on developing a complete line of high-quality orthopaedic products designed to reinforce the benefits of therapeutic treatments, while helping to correct certain physiological traumas. Objective: The company wanted to gain notoriety, target market active customers and showcase some of their products. 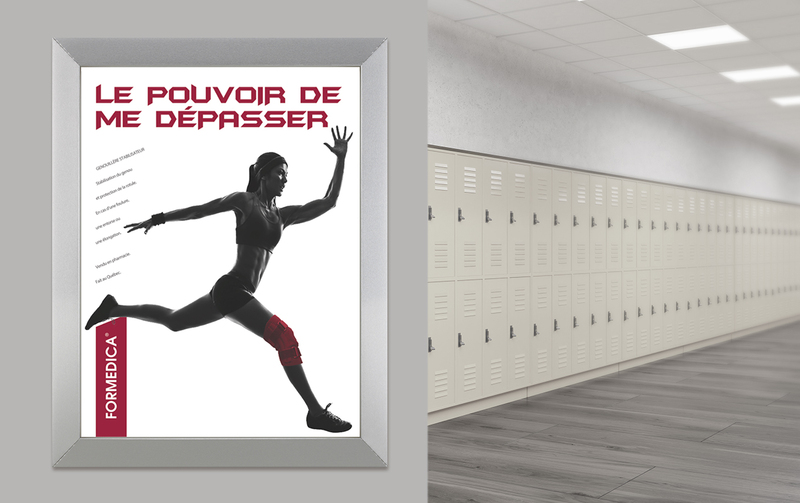 Our goal was to create a targeted media plan and advertising campaign by providing the company with a distinct and contemporary style, while showcasing its products. We set out to position the company as a major player in the orthopaedic industry. Results: Our objectives were achieved. The advertising campaign gave the company a fresh new look and highlighted its products. 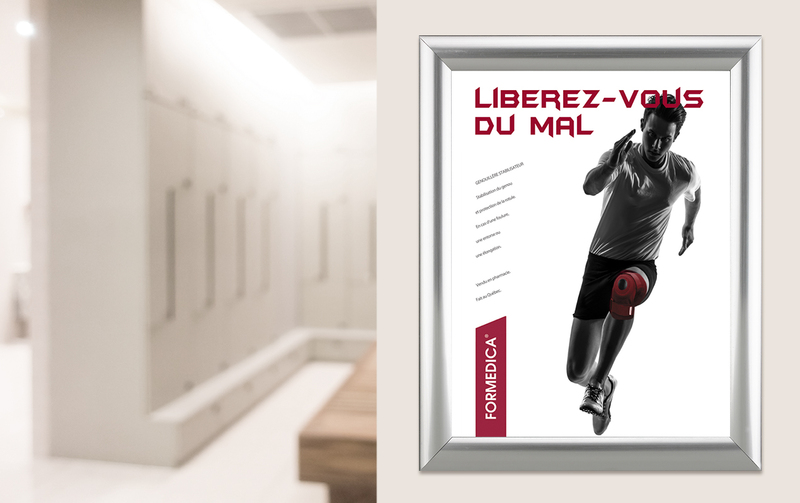 The campaign featured images of athletes practicing their favourite sports thanks to the orthopaedic products relieving their pain. 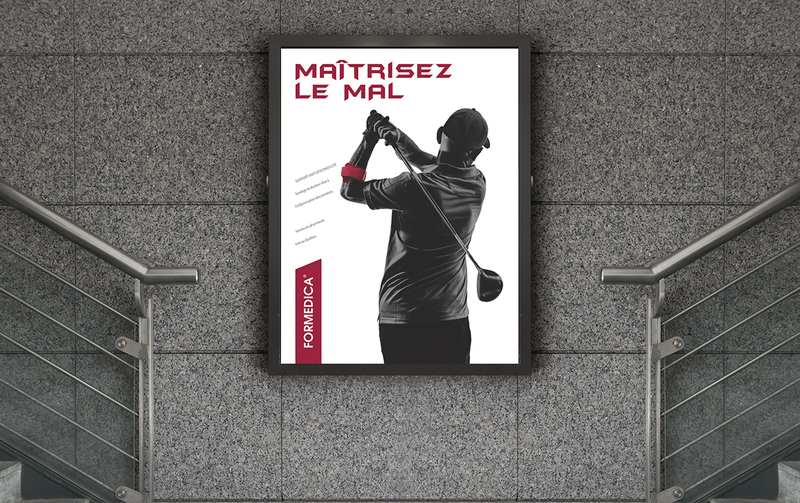 The ads were placed in different fitness centres and golf clubs in Quebec. The target market was exposed to over 3,000,000 hits during the campaign.